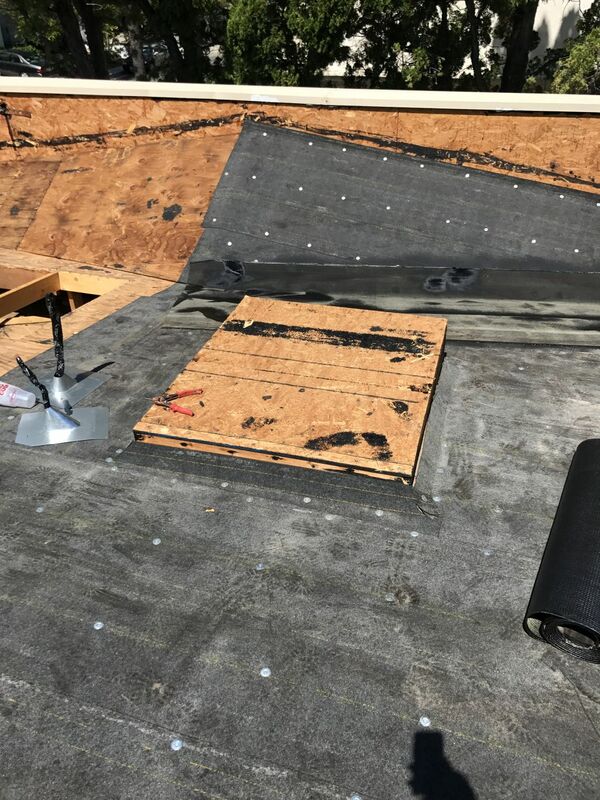 Flat or low-pitched roof installation is very quick, very affordable and with a life expectancy from 10 to 25 years, depending on product and installation process. 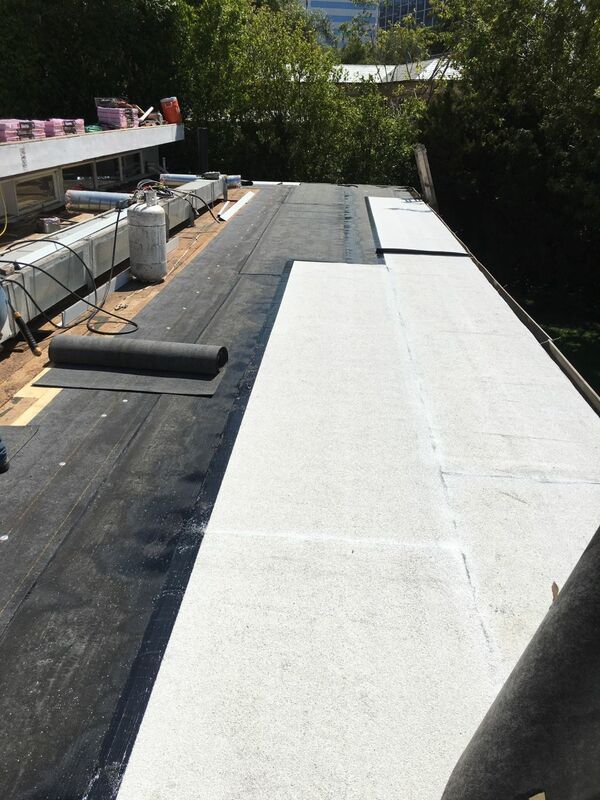 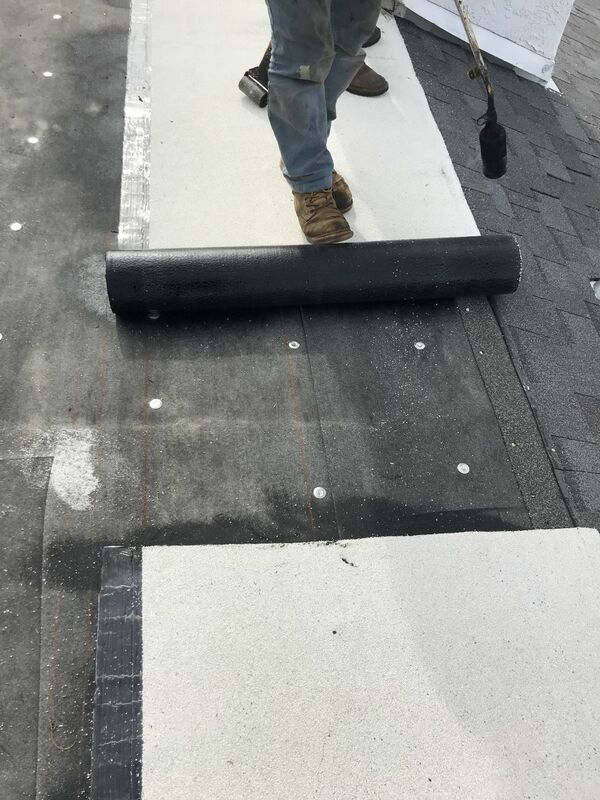 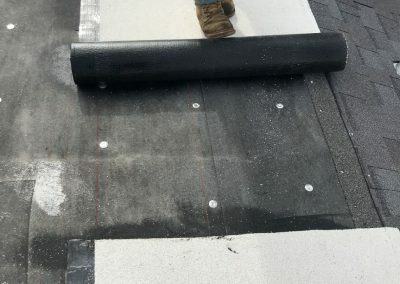 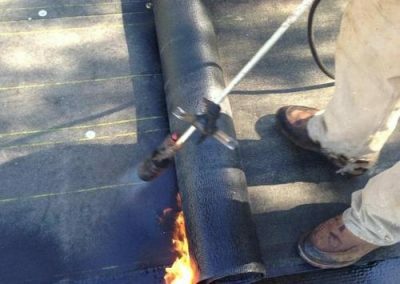 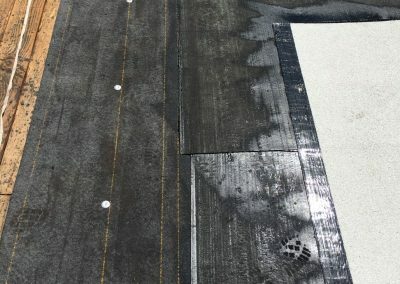 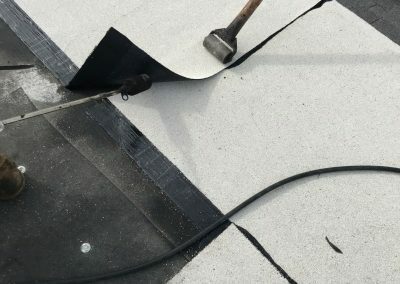 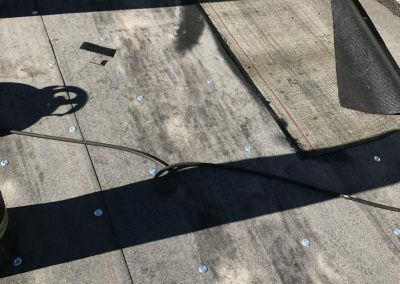 A flat roof covering involves 1-2 layers of modified bitumen melt-welded over base sheet with the use of a blowtorch, creating an impenetrable waterproof seal – in even the smallest nooks and crannies. 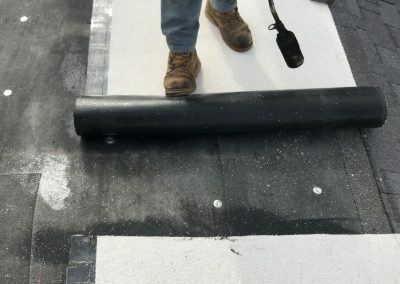 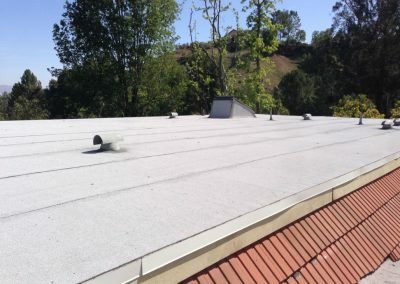 Any sheet of material used to cover a flat or low-pitched roof is usually known as a membrane and the primary purpose of these membranes is to waterproof the roof area. 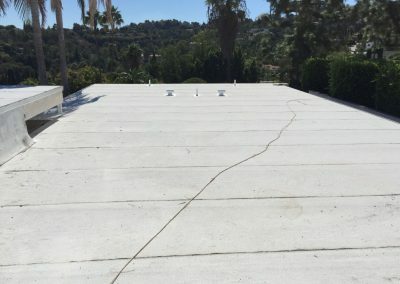 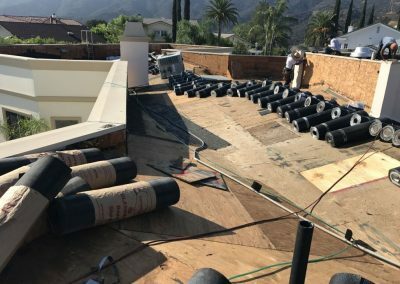 Materials that cover flat roofs typically allow the water to run off from a slight inclination or camber into a gutter system. 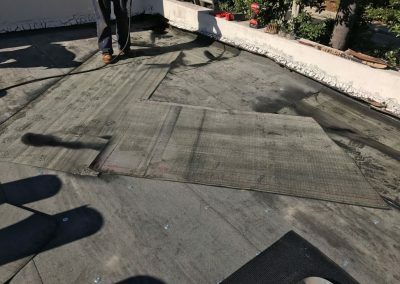 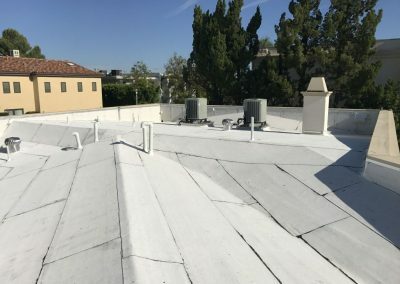 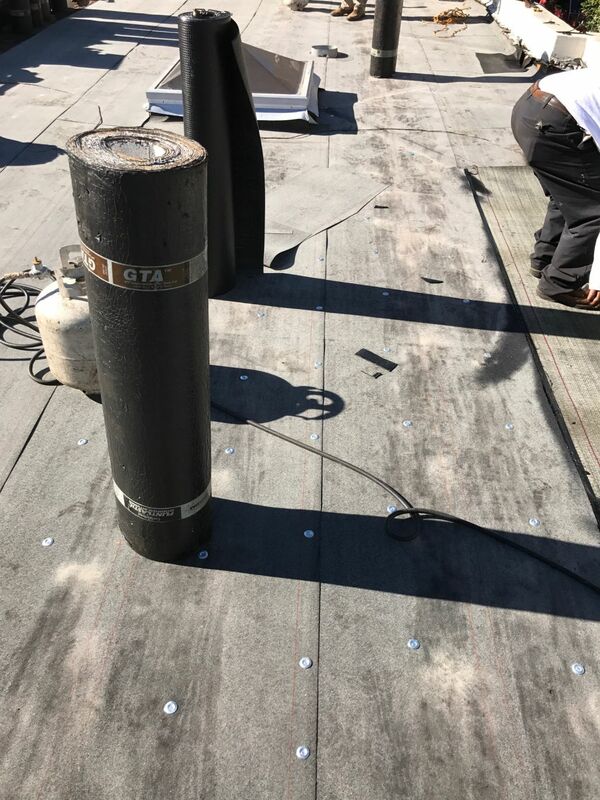 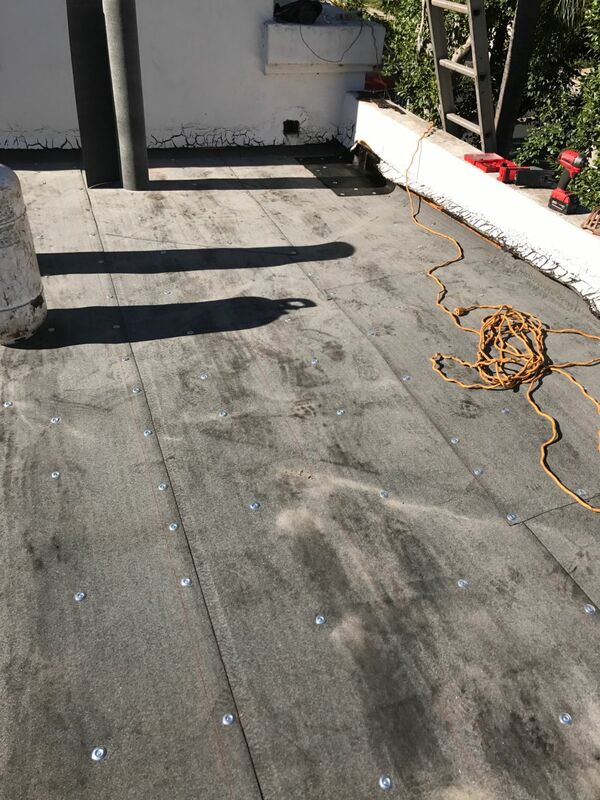 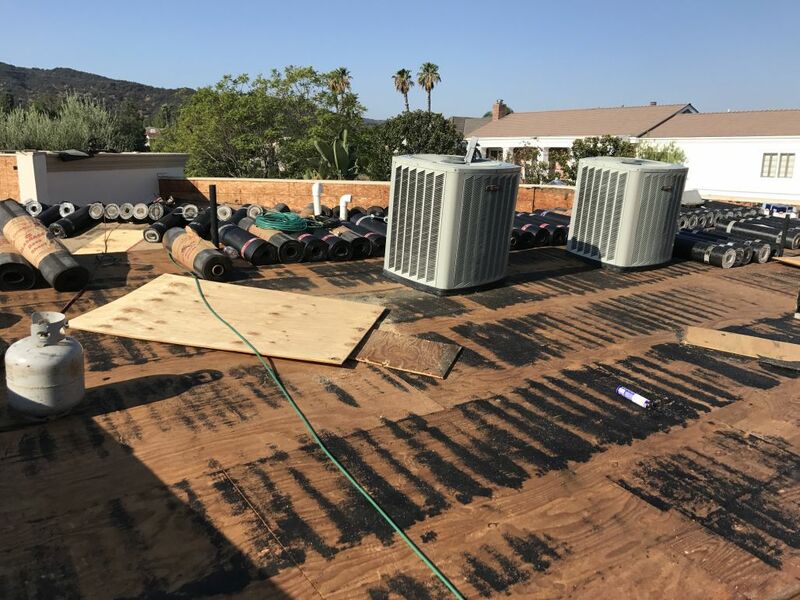 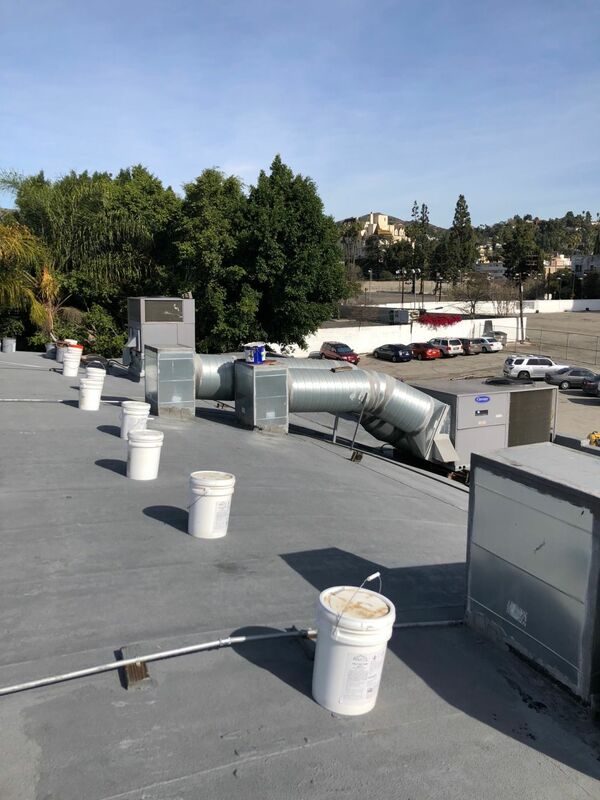 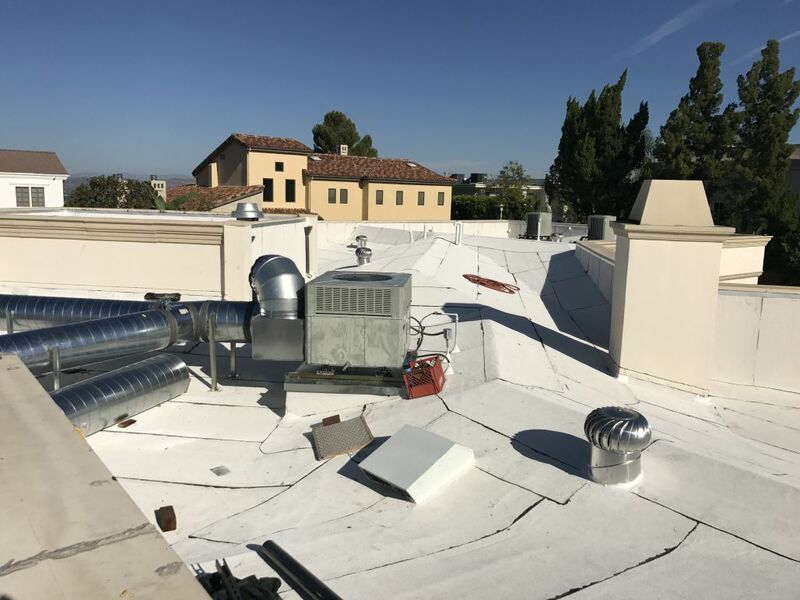 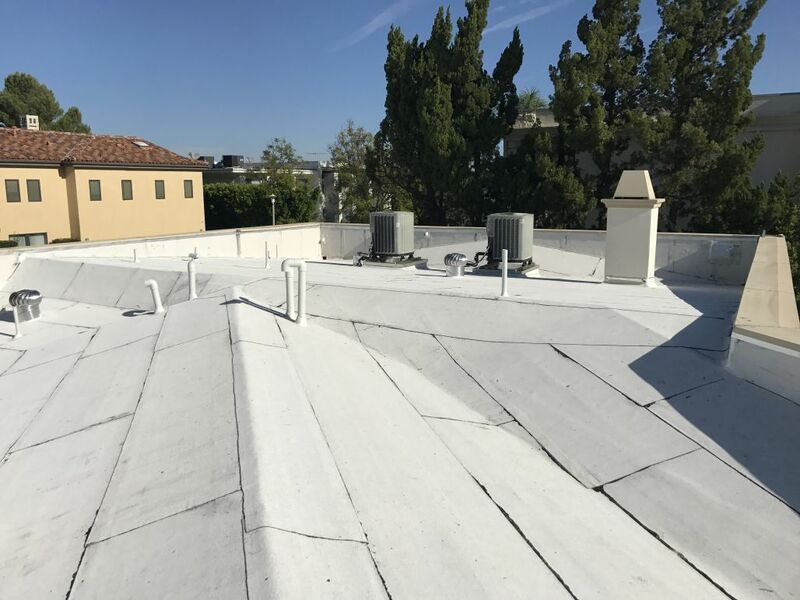 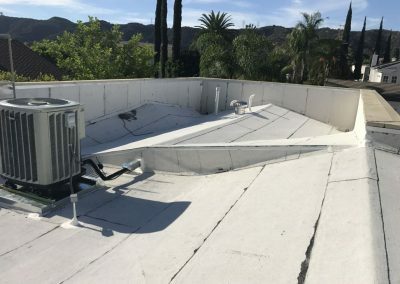 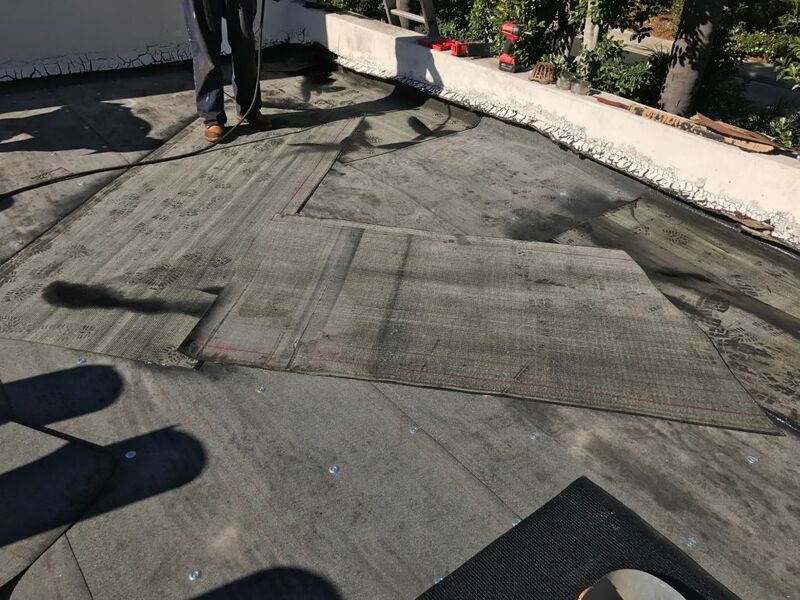 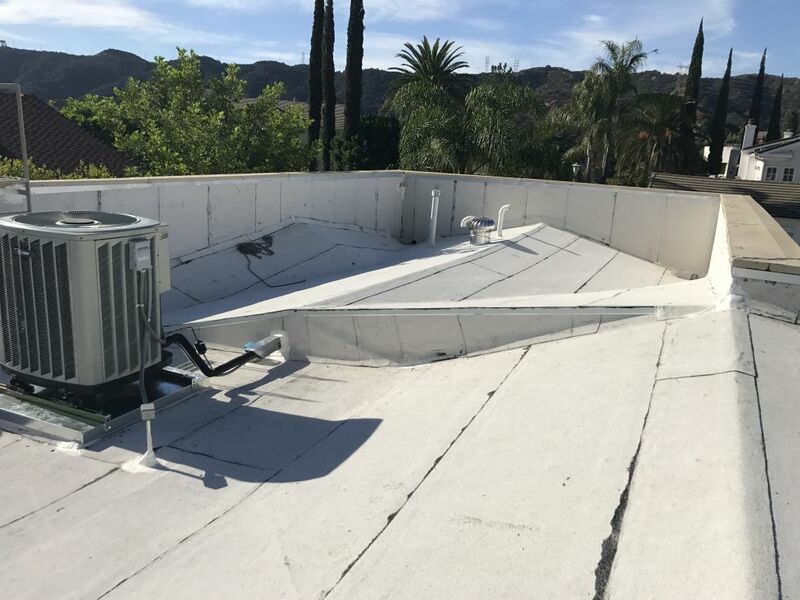 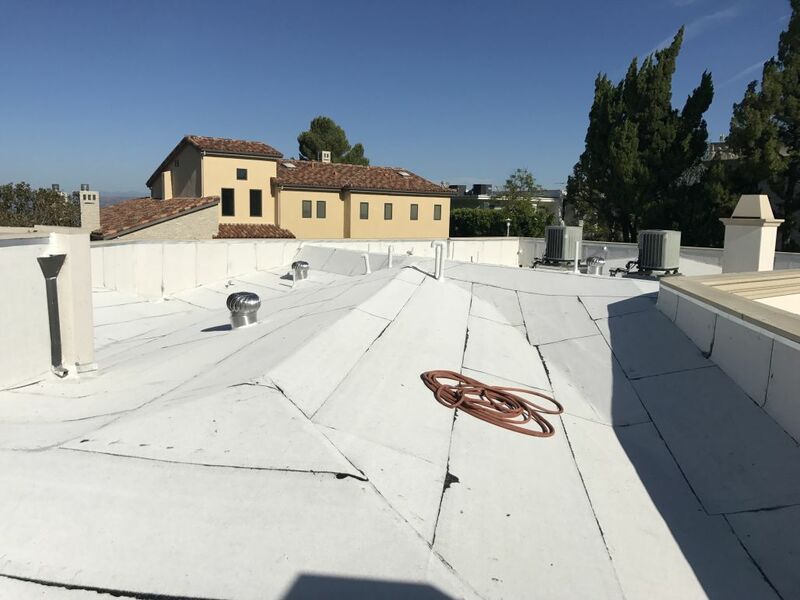 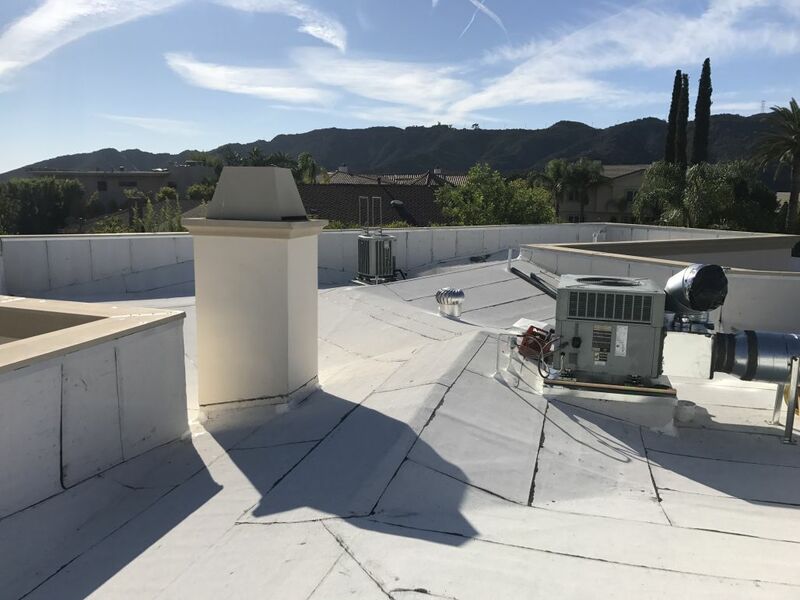 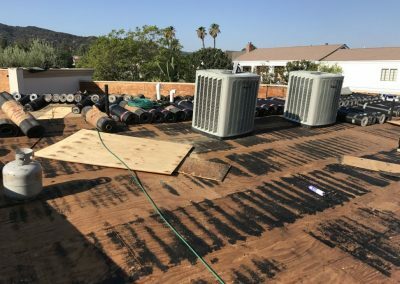 If a leak does occur on a flat roof, damage often goes unnoticed for considerable time as water penetrates and soaks the decking and any insulation and/or structure beneath. 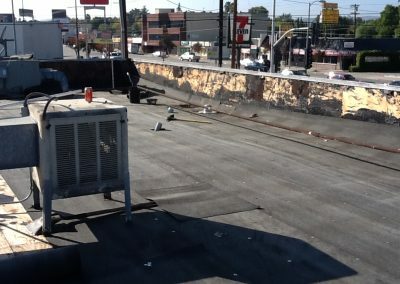 This can lead to expensive damage from the rot which often develops and if left can weaken the roof structure. 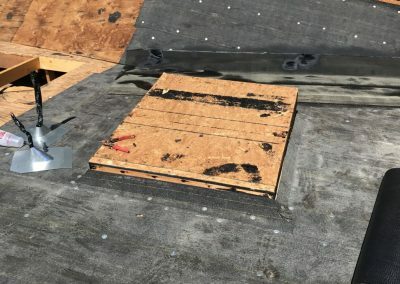 If the problem is detected early enough, the insulation may be saved by repairing the leak, but if it has progressed to creating a sunken area, it may be too late. One problem with maintaining flat roofs is that if water does penetrate the barrier covering be it traditional or a modern membrane. 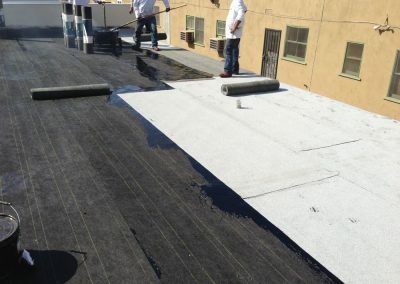 It can travel a long way before causing visible damage or leaking into a building where it can be seen. 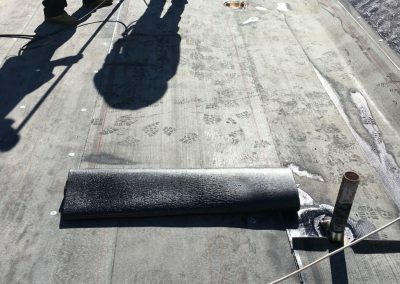 Thus, it is not easy to find the source of the leak in order to repair it. 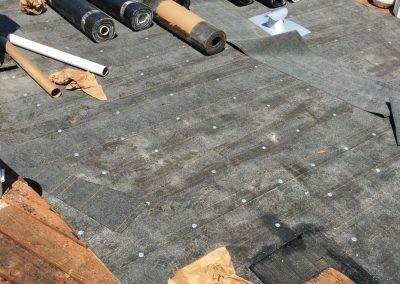 Once underlying roof decking is soaked, it often sags, creating more room for water to accumulate and further worsening the problem. 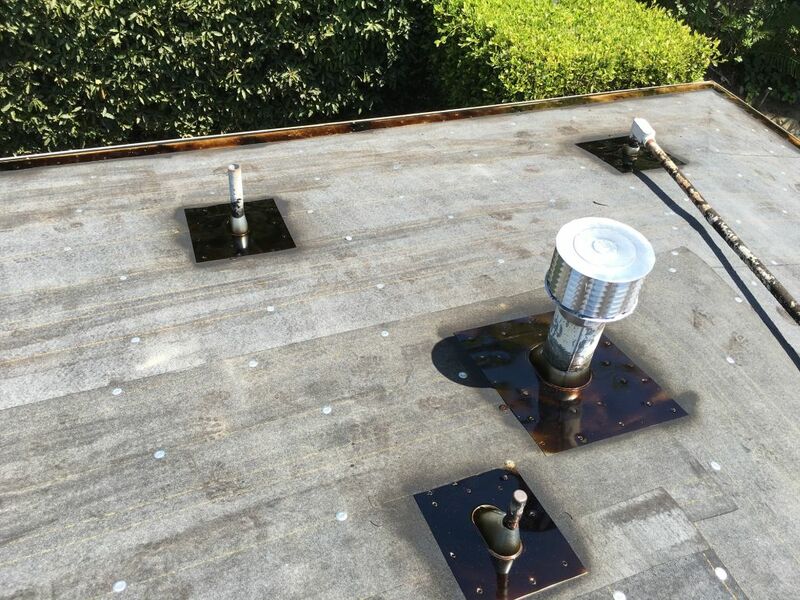 Another common reason for failure of flat roofs is lack of drain maintenance, leaves and debris block water outlets (be they spigots, drains, downpipes or gutters). 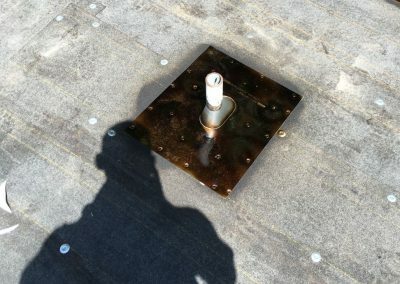 This causes a pressure head of water which can force more water into the smallest hole or crack. 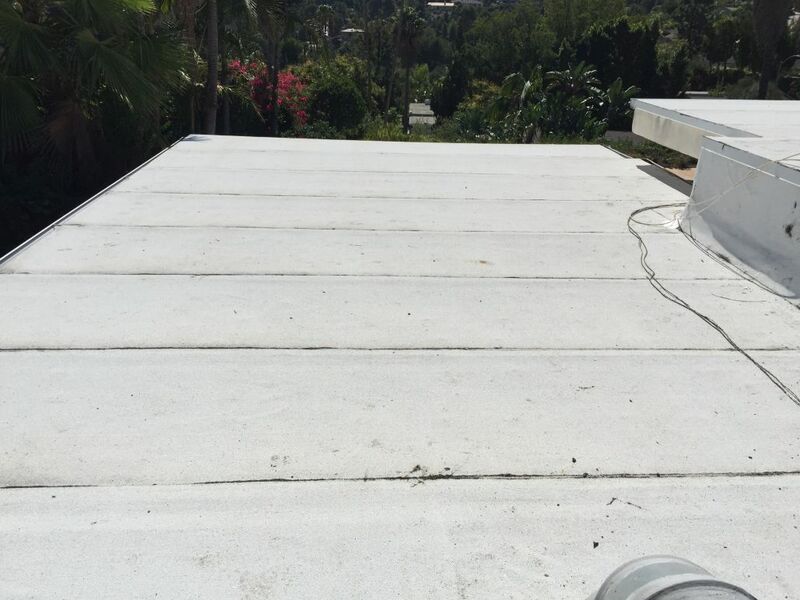 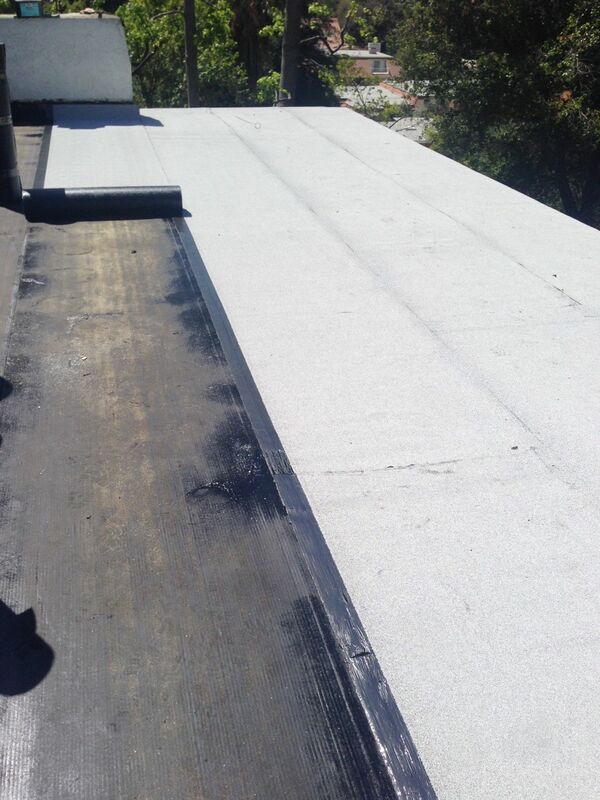 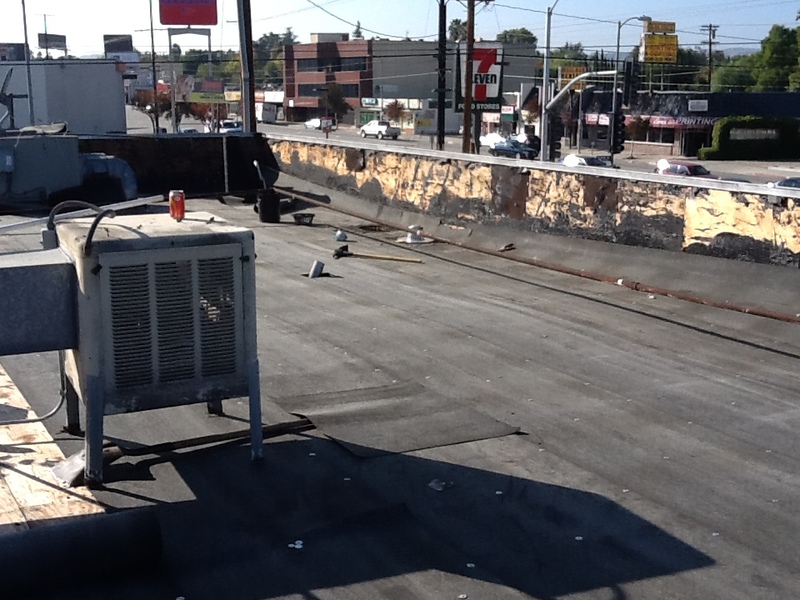 It is therefore important to maintain your flat roof to avoid excessive repair or replacement. 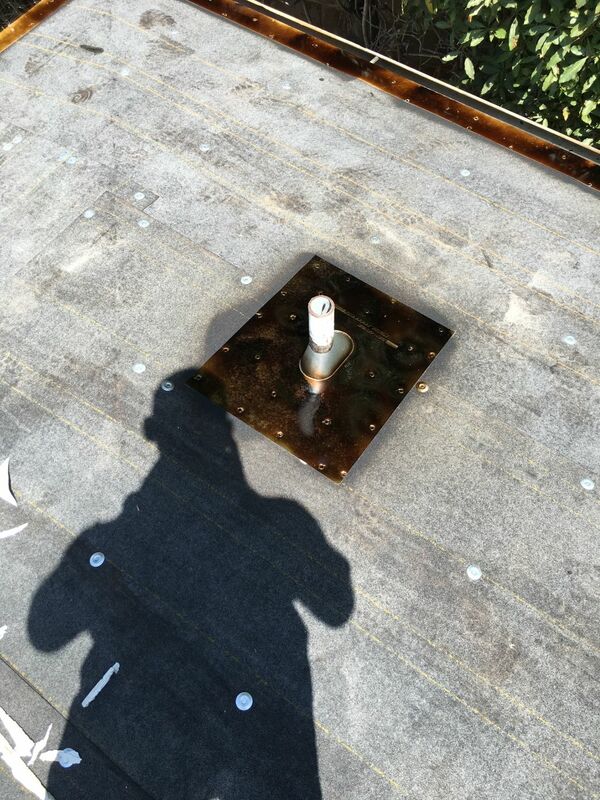 An important consideration in bitumen cap roof quality is knowing that the common term ‘torch system’ applies to rather different shaped roofs. 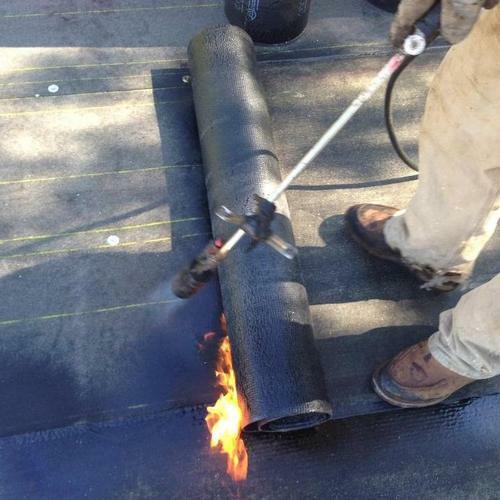 Some of these products appear to have been interchanged in their use and are sometimes used inappropriately. 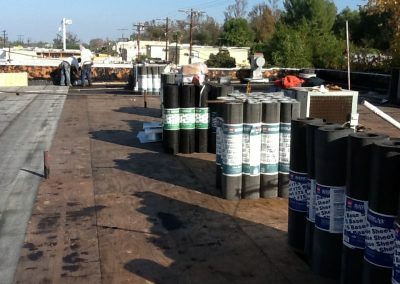 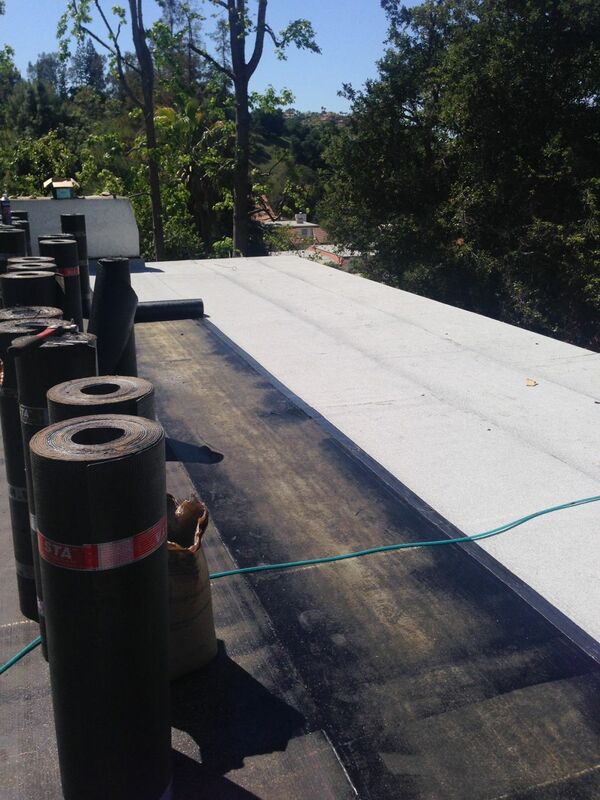 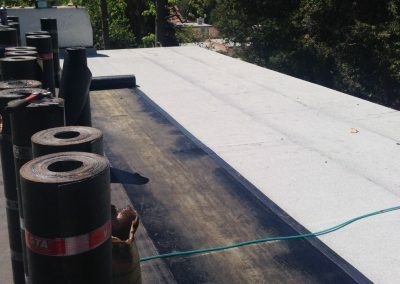 Modern flat roofs can use single large factory-made sheets such as bitumen and etc. 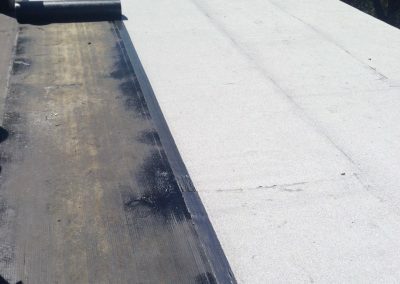 Although usually of excellent quality are used today on many large commercial buildings. 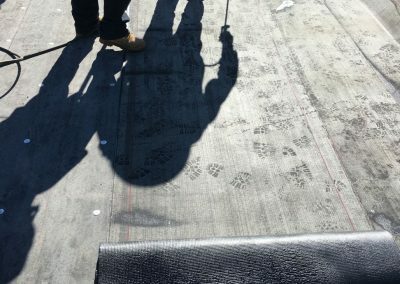 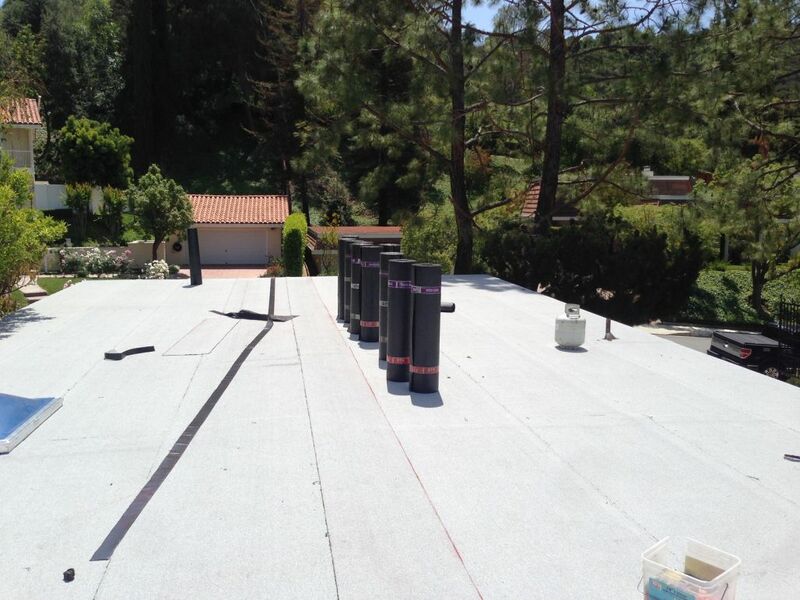 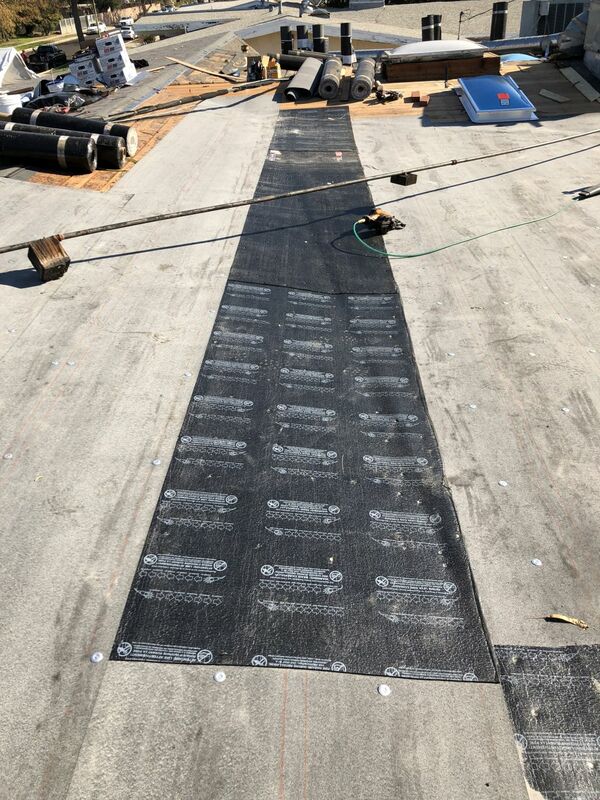 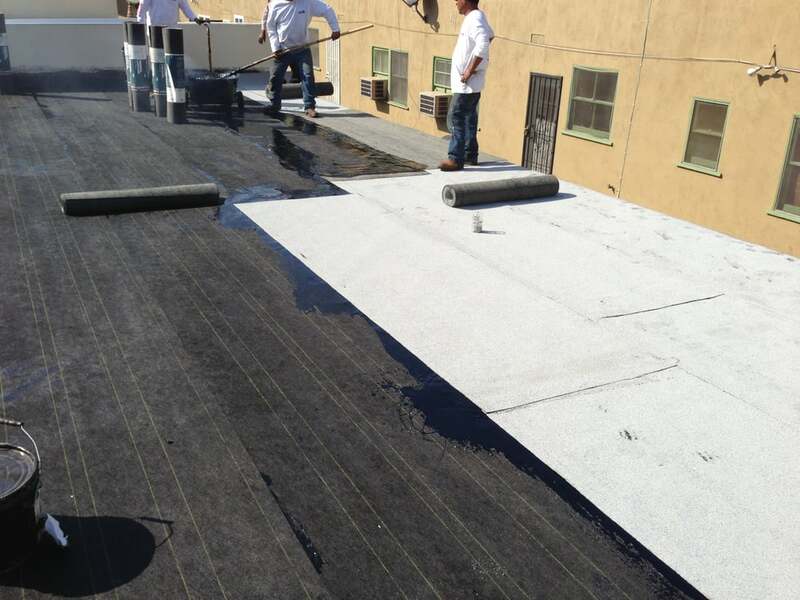 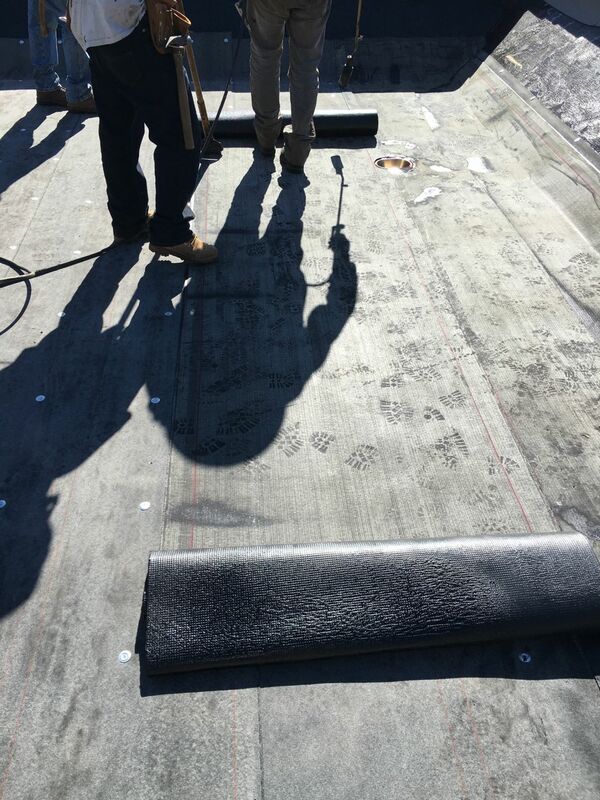 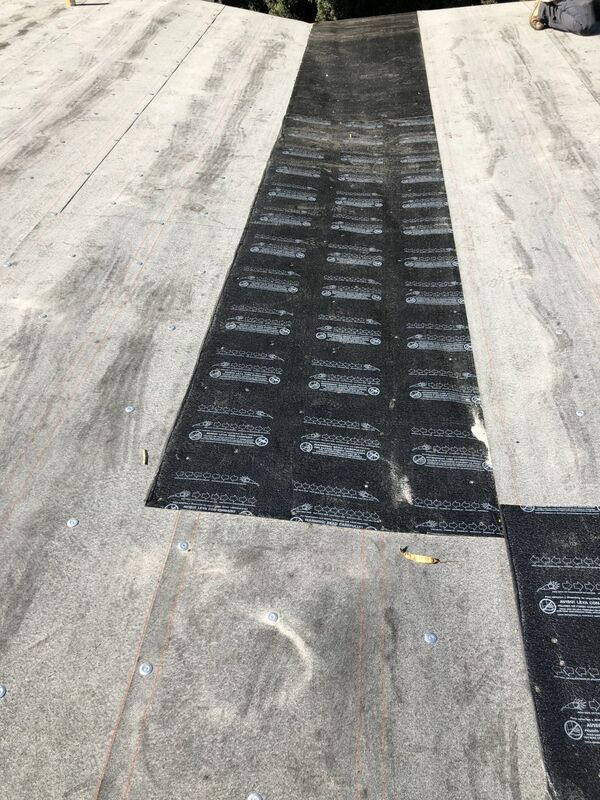 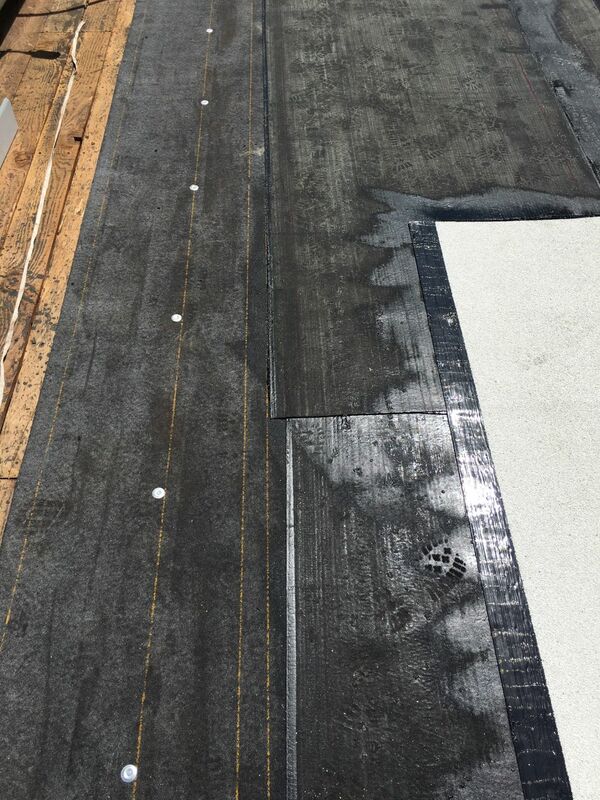 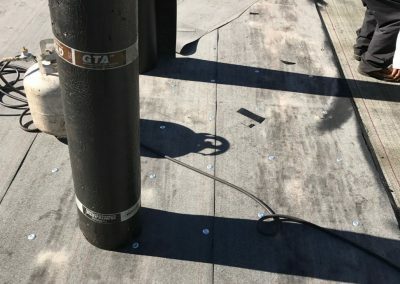 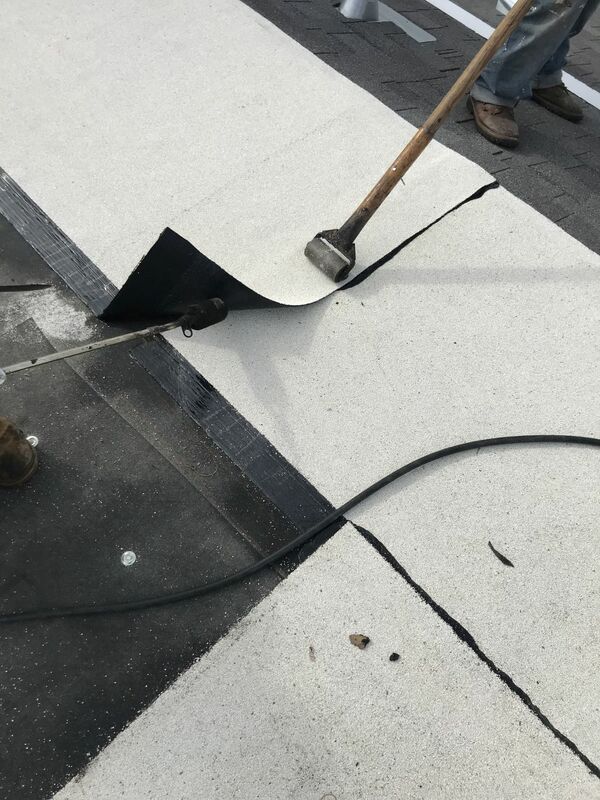 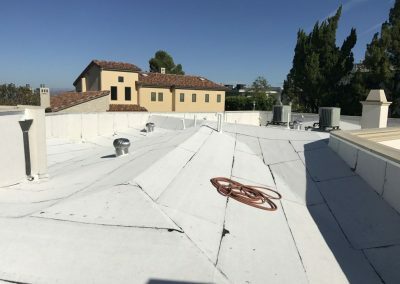 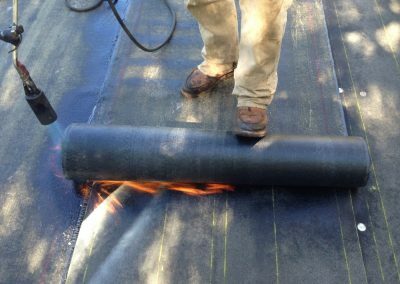 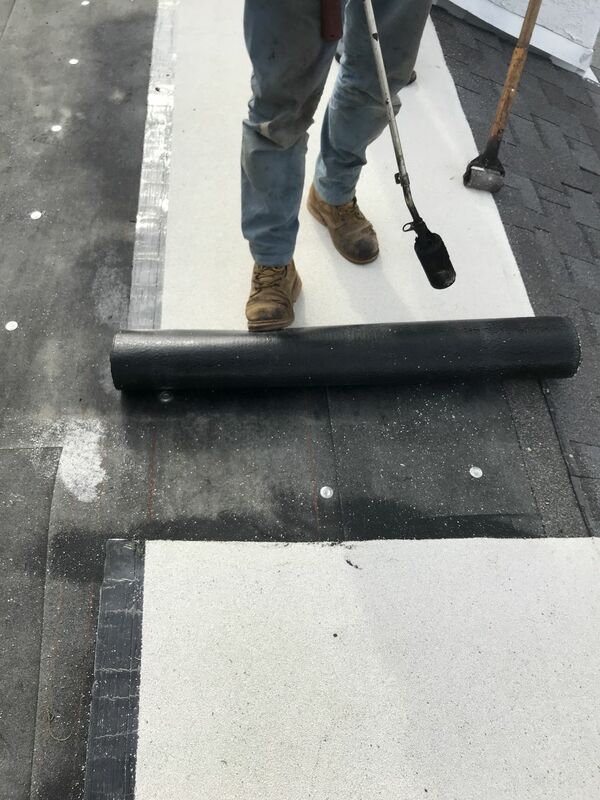 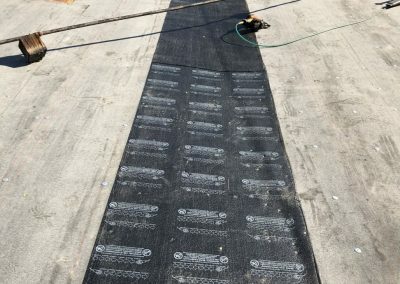 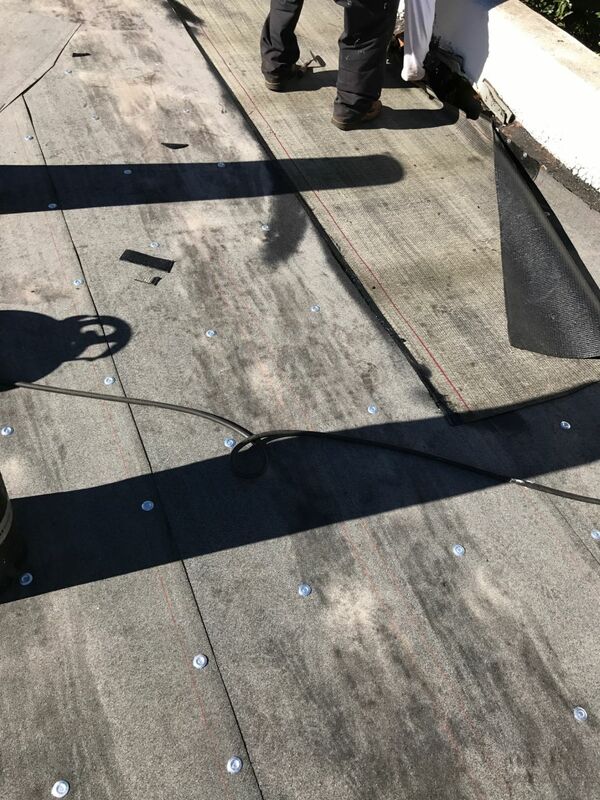 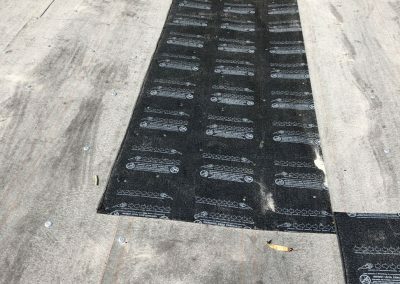 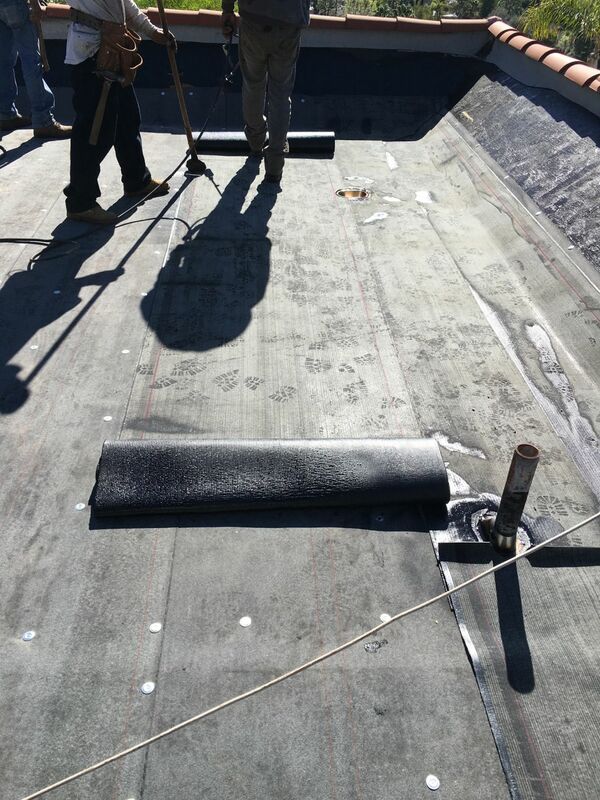 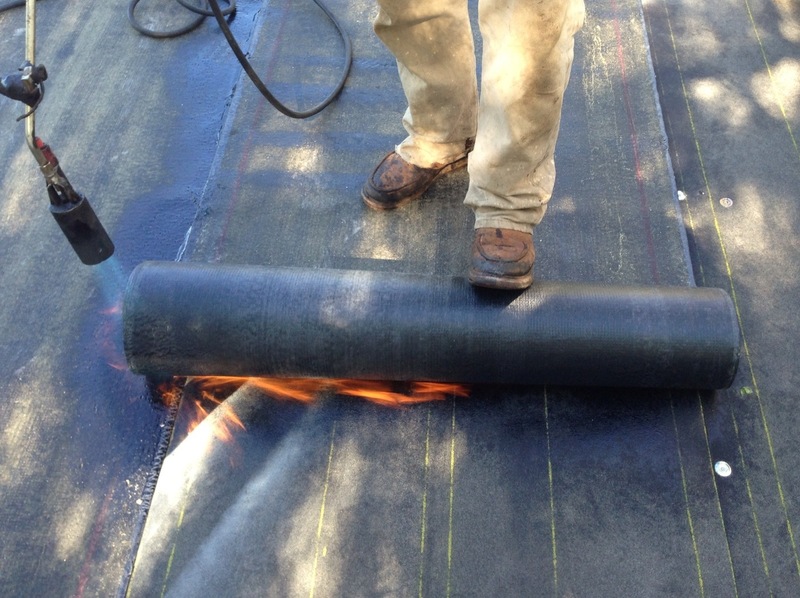 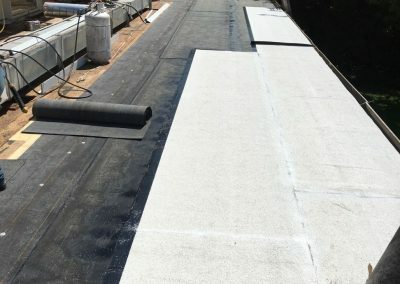 Modified bitumen membranes which are widely available in three feet widths are bonded together with a torch system seaming processes during the fitting process, where labor skill and training play a large part in determining the quality of roof protection attained. 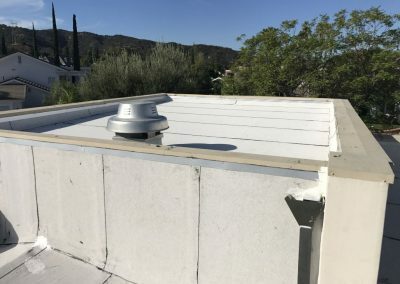 Detailing of these systems also plays a part in success or failure: such as internal and external corners, through-roof pipe flashings, cable or skylight flashings etc. 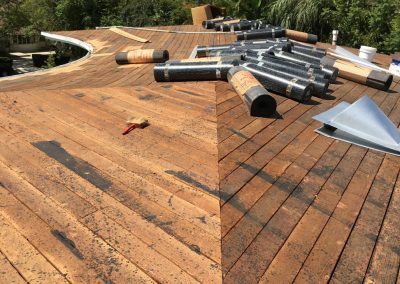 Success depends largely on their levels of skill, enthusiasm and training – results can vary hugely. 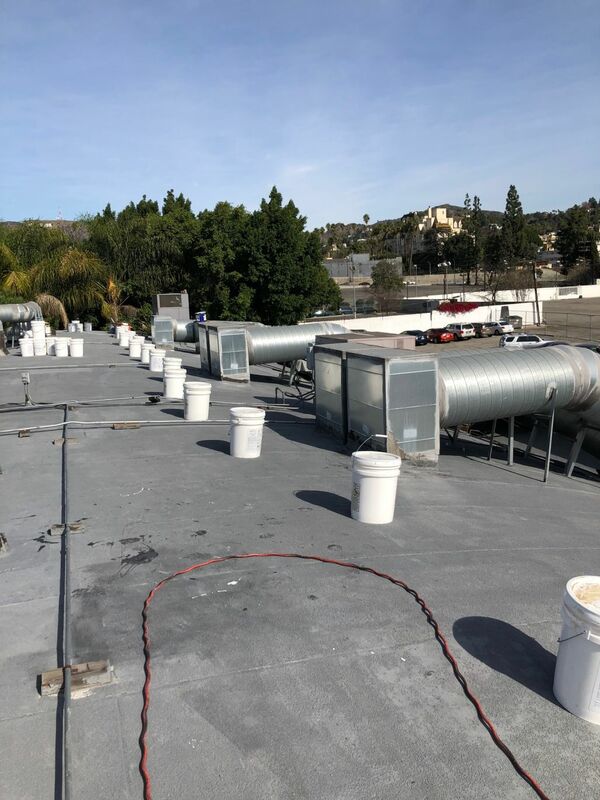 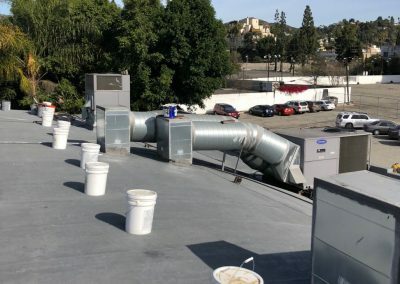 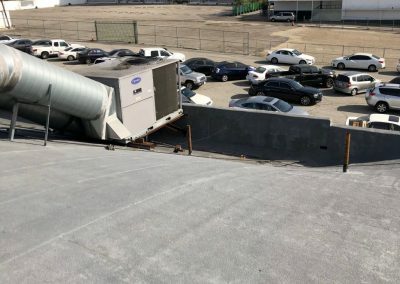 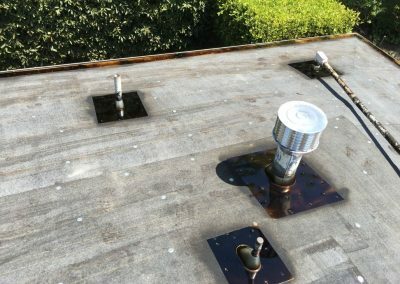 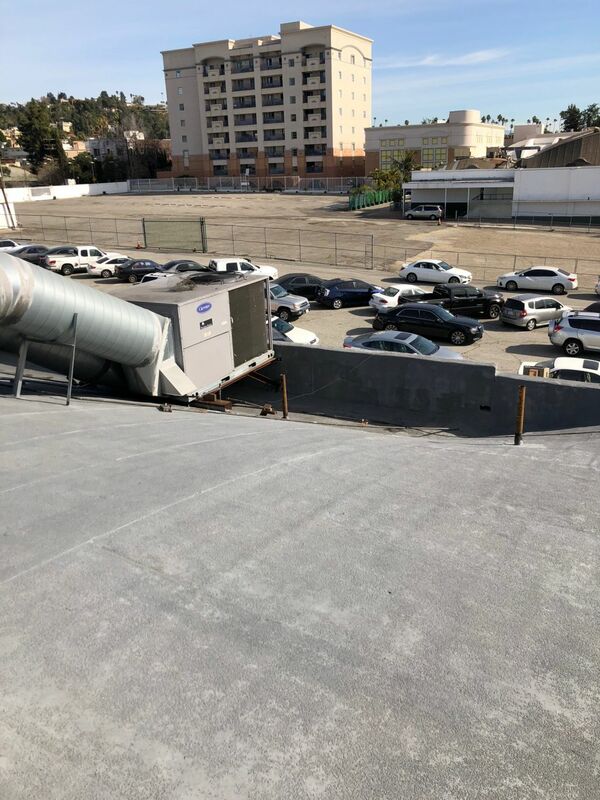 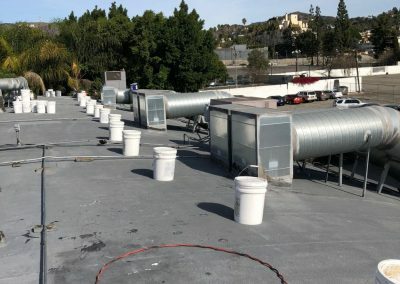 Flat roofs can fail, for example; when subsequent work is carried out on the roof, when new through-roof service pipes/cables are installed or when plant such as air conditioning units are installed. 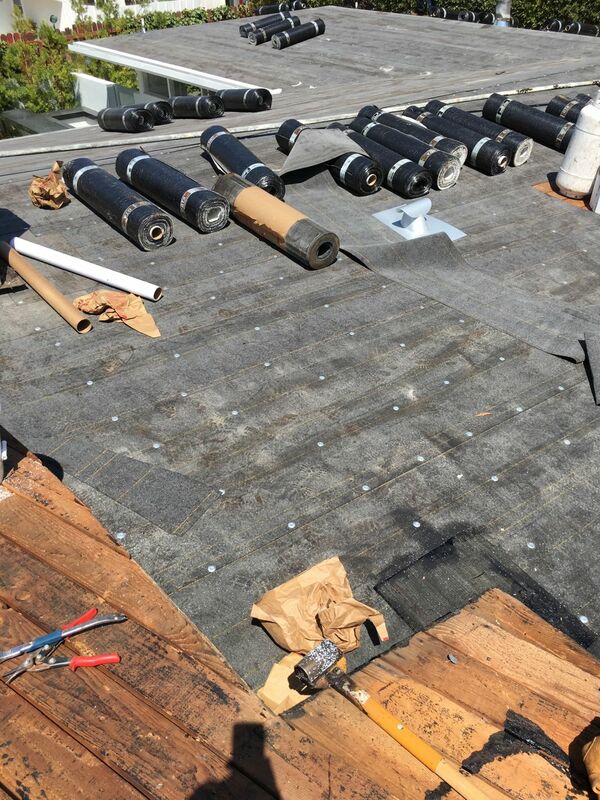 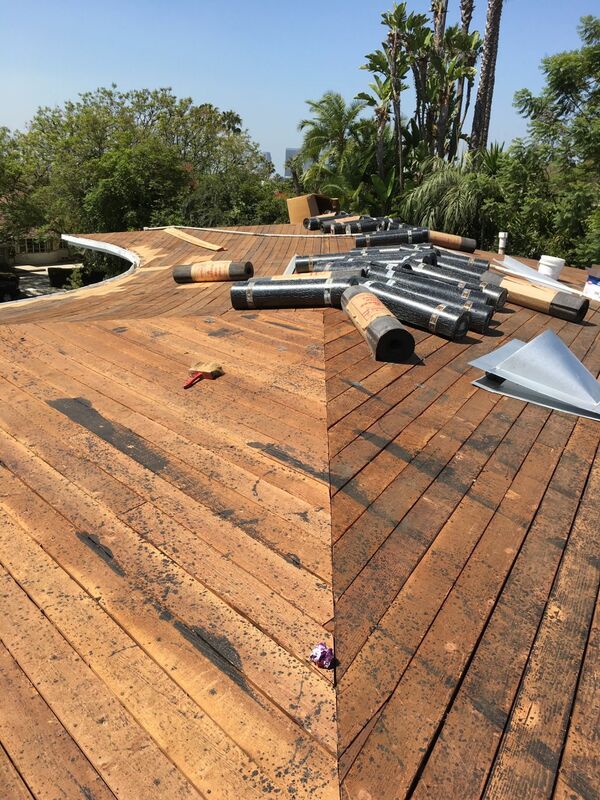 A good roofer should be called to make sure the roof is left properly watertight before it is left. 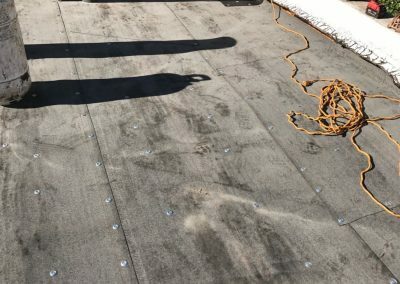 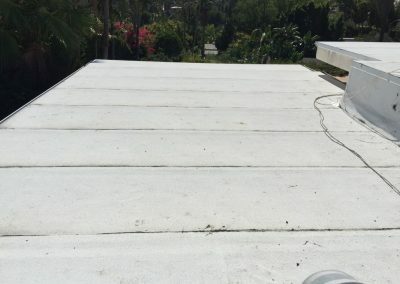 Flat roof life expectancy can vary from 10 to 25 year product systems, depending on product and installation process.